Important Election Reminder for Downtown Residents! Election Day is TOMORROW, Tuesday, February 24th! Please don’t forget to participate in the Municipal Election tomorrow – Tuesday, February 24th, 2015. Make sure your vote counts! Polling locations will be open from 6:00am to 7:00pm. Polling stations close promptly at 7:00pm; however, voters waiting in line at 7:00pm will be allowed to cast their ballot. To check the status of your registration and locate your polling location, enter your address and last name in the Board of Elections voter lookup tool. Complete information for voters is available on the Chicago Board of Election Commissioners website, www.chicagoelections.com. Alderman Reilly along with RNRA’s Public Safety and CAPS chairman, Bob DiFiglio has been working closely with the Chicago Police Department and City Law Department to address public safety and nuisance issues related to Nouveau Tavern in the River North neighborhood. The 18th Police District is seeking neighborhood residents to help serve as “court advocates” to attend an upcoming court hearing for the arrests and citations issued at Nouveau Tavern this fall. Alderman Reilly is asking River North Residents to consider participating in the “Court Advocacy Program” to ensure the Chicago Police Department’s recent enforcement efforts at Nouveau Tavern result in convictions and penalties for these crimes. Working together, we can maintain River North’s reputation as one of America’s fastest growing neighborhoods that is a welcoming and safe place to live, work and play. For more information about Court Advocacy and to confirm attendance at upcoming hearings, please call Sergeant Vanek at the Chicago Police Department’s 18th District at 312-742-5880. Community participation in these hearings is important and can help impact the outcome of cases. To help the 18th District preserve safety in River North, immediately call 9-1-1 to report suspicious behavior or anything out of the ordinary. 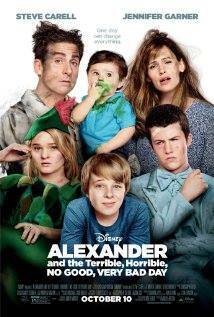 After reporting the incident to 9-1-1, please contact Aldm. 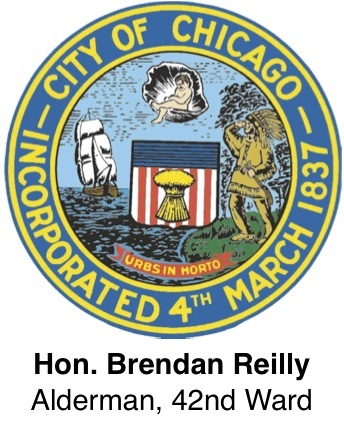 Reilly’s constituent office at office@ward42chicago.com or by calling 312-642-4242 so our Alderman’s office can follow-up with our Police Department. CAPS meetings offer River North residents an opportunity to address crime and safety issues directly with the beat officers who patrol their neighborhood, as well as to provide ongoing feedback, which help the police to monitor crime issues. RNRA has a Public Safety committee headed by River North resident, Bob DiFiglio, bdifiglio@rnrachicago.org. If interested in volunteering for this committee, please contact Bob. PLEASE NOTE – The 18th District 30-Sector CAPS meeting (Beats 1831, 1832, 1833 and 1834), are held on the first Thursday of every odd-numbered month, was held on January 15th. The next meeting is March 5, 2015 6:30pm. The meetings are held at the Access Living Center, located at 115 W. Chicago Avenue. If you would like further information regarding upcoming CAPS meetings, please call your Police District’s CAPS office. To find your district and beat, please click here. 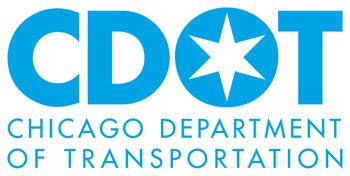 Chicago Department of Transportation wants to hear from you! The Chicago Department of Transportation (CDOT) has launched a month-long, city-wide survey to seek input from Chicagoans about what they appreciate about their streets and sidewalks and what improvements they would like to see. The survey is designed to help CDOT create guidelines for future improvements in the public right of way. CDOT is conducting the survey to gather input for the creation of Placemaking Guidelines for the public right of way. Placemaking is the term used by urban planners for the process of enhancing public spaces by capitalizing on a community’s assets and potential to improve the quality of life and create vibrant neighborhoods. The survey can be taken online at: https://www.surveymonkey.com/s/CDOTPlacemaking. Learn more at www.chicagocompletestreets.org. Please participate in the survey and share this information with your family, friends and neighbors. Alderman Reilly is looking for qualified applicants to serve as Election Judges for the February 24 Municipal Election. Election Judges are assigned to polling places, and they are responsible for making sure that the polling place opens and closes on time, and that the election is run smoothly. This is a great way to get involved and provide civic service. If you are interested in becoming an Election Judge in the 42nd Ward, email office@reillyforchicago.com or call Matt Cain at 312-274-0042. Don’t Forget to Vote Early in the City Election! Avoid Long Lines and Cold Weather on Tuesday! Alderman Reilly strongly encourages you to “Vote Early” before this Saturday, to avoid long lines and cold temperatures on Election Day next Tuesday! Early Voting locations are open daily from 9:00am – 5:00pm through Saturday, February 21, 2015. Any registered Chicago voter may vote at any Early Voting site in Chicago, regardless of where they live. You don’t need a reason to vote early, you only need a government-issued photo ID. Click here to view a list of all Early Voting locations in Chicago. “It’s Always Something” Teen Essay Contest! Open to high school students (grades 9-12) willing to share their experiences with cancer. We are looking for honest, detailed, personal essays by young writers who have a connection to cancer. Judges will be looking for an interesting and engaging narrative told in your own words. The essay should describe your experience and an overall message about how that journey has impacted your life in 500 – 2,000 words. Essays may be written in English or Spanish. All entries are due by March 2nd, 2015. Cash awards are available to winners in each category. Each entry must be submitted by March 2nd, 2015 and include an official entry form. Download the rules and the offical entry form HERE. Partner with the Chicago 18th District Police Department in being a part of the “1 City, 1 Food Drive” for the Greater Chicago Food Depository. Thanks to friends like you, this holiday is much happier for animals like Maggie. This sweet girl was found in a neighborhood, hit by a car and in bad shape, but today she is healthy and happy with her new family. Our goal is to raise $300,000 by December 31 to provide shelter and care for cats, dogs and other animals just like Maggie. 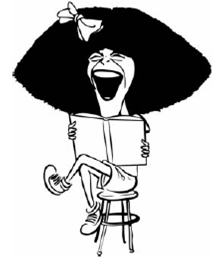 Thank you for making a 2014 Holiday Fund Drive gift today! 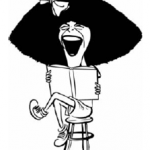 Click here to donate to the 2014 Holiday Fund Drive. The following information is intended for Condominium Property Managers and Condominium Board Members regarding the annual Condominium Refuse Rebate application. One application per Condominium Association shall be submitted by the Property Management Company or Condominium Association. You must return all completed 2014 refuse rebate applications to Alderman Reilly’s City Hall office no later than JANUARY 15, 2015, or your application may be denied. Application forms and additional information are available at the Committee on Finance website. 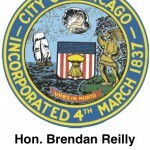 Submit completed applications to Alderman Reilly’s City Hall Office, located at 121 N. LaSalle Street, Room 200 no later than January 15, 2015, or your application may be denied. Please ensure that completed applications are sent via a method that provides a “delivery confirmation” receipt. If you have any questions about the Refuse Rebate program, please contact the Committee on Finance at condo@committeeonfinance.org or Alderman Reilly’s City Hall Office at 312-744-3062 or via email at rebates@ward42chicago.com. Please note: Applications submitted after January 15, 2015 may be ineligible for the 2014 rebate and subsequent years.